extraordinaire, Mike Irwin. I'll write more about this once I get back. So, today, a quicky. I've spent the last 13 years living in Sydney, but did spend 3 years as an undergraduate in London. 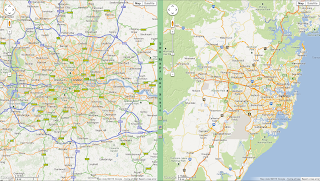 I was recently wondering about the relative sizes of the two, and wikipedia tells us that Sydney has a population of about 4.6 million, whereas London has a staggeringly accurate 8,308,369 residents (and bizarrely, this is a prime number). 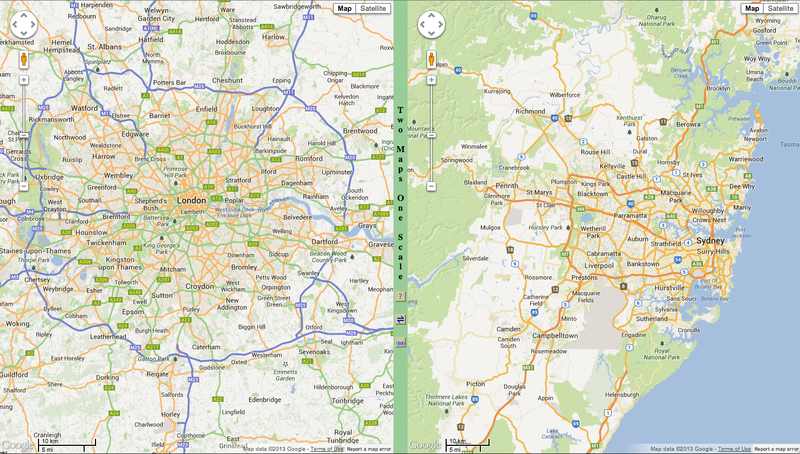 So, in terms of people, London is very roughly twice as large. Possibly 20 times larger? 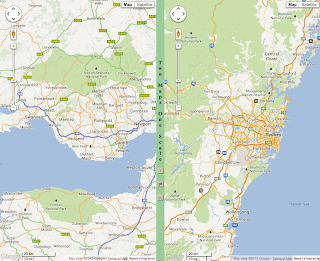 I know London does feel large, but Sydney is no provincial town. 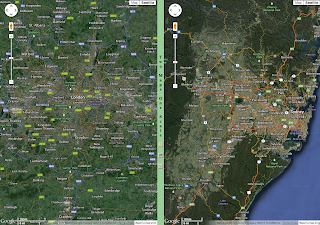 Now we have the question, just how big is a city? 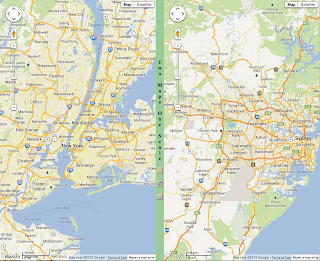 Cities have official boundaries, but these don't always correspond to density of people or houses etc. although there a lots of people not quite in London, living around the edge. What about Sydney? 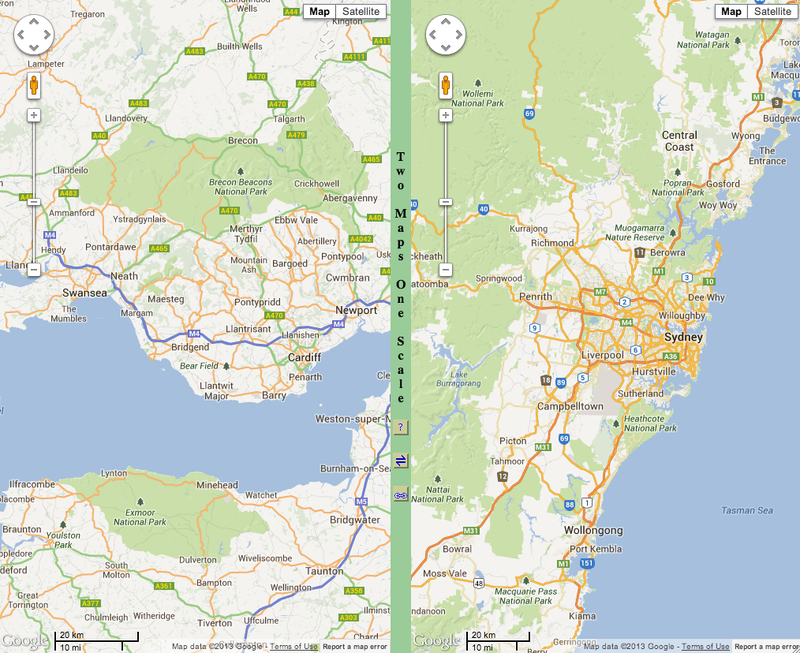 Well Sydney does have a "Metropolitan Area"(although it doesn't seem to have too rigid a set of boundaries. In terms of local government, it looks like this. But these only tell part of the story. 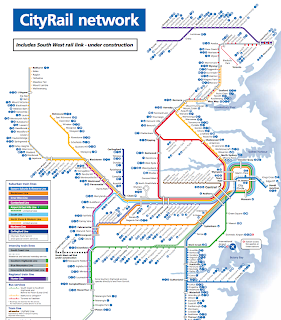 Perhaps it's better to look at the map of the train network, and what trains are "suburban" as opposed to being intercity. 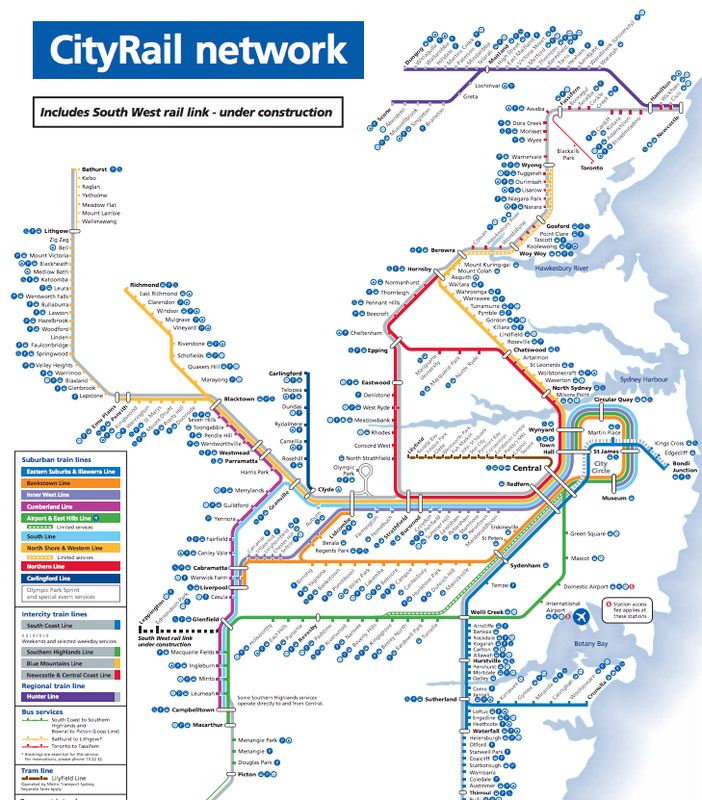 So, looking at our map of Sydney, it stretches from Penrith in the west, to the "city" in the east, Campbelltown in the south to Berowra in the north. 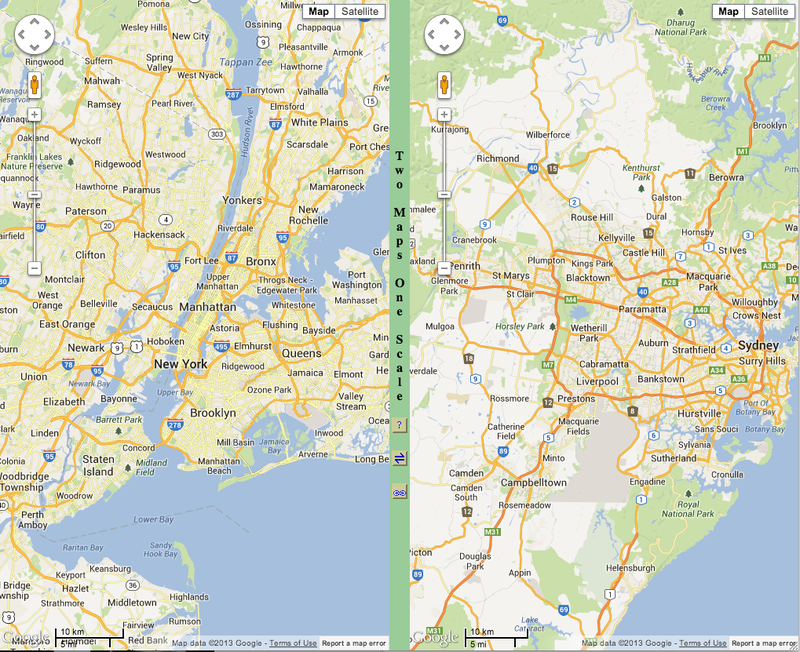 Those dimensions are not dissimilar to the extent of London! But again, that's not the entire story. It helps to look at the cities in terms of distribution of housing. Sydney has a lot of green! The link out to the west, through Plumpton and St Marys to Penrith is bounded by fields and farm land. Up in the north, there I live, the suburbs are intertwined with bushland. But there is no doubting the fact that London clearly is not 20 times the size of Sydney, although having lived there, and filed on to packed trains with millions of other people, I know that it can feel that way. Maybe a factor of two? I could go on comparing places for ever, but have just remembered that I have a plane to catch! 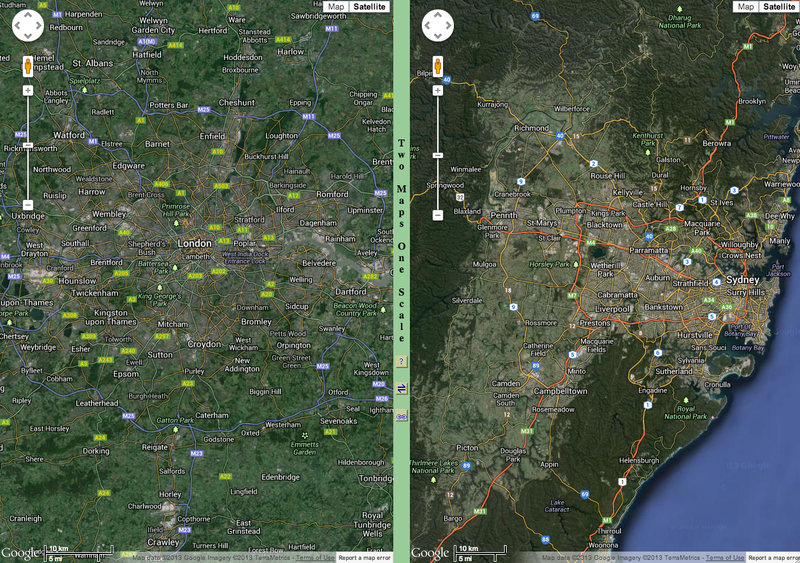 Since you know both cities, could you tell me which Sydney area is most like West Hampstead in London? Many thanks. An interesting experiment, Geraint - but the conclusion is still vague and as with all scientific experiments, improved data is required!